At Y-Fit our mission is to facilitate the best possible holistic fitness solutions through innovative fitness programs that are affordable and accessible to our clients. Not forgetting our family orientated approach which is being able to build relations that adhere to our motto as the YMCA of empowering young and old for life, leadership and service. Active living is our goal. 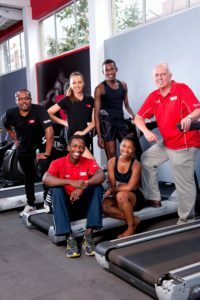 We offer the community a sense of working out, promoting group exercise as a key component of our Fitness Centre. We offer personal training as part of the service for only R200 per month.